X-Quad Samui ATV Tour, Maenam Soi 5. © xquad-samui.com All Rights Reserved. When "ADVENTURE and EXCEPTION" invite each other daily. 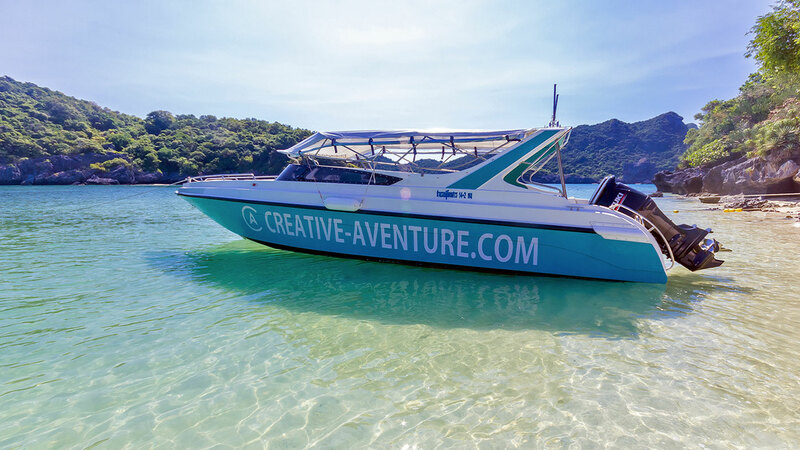 For your holidays in koh samui your dream is to make a sea ride for discovery around . While you're with friends or family or with your lover, dare and take advantage of these opportunities that we offer aboard our magnificent and recent speedboat of 29 ft the « COLOR of the SEA », equipped with 2 engines SUZUKI 140 CV or we ship a maximum of 12 people (plus the crew consisting of a captain Thai (mandatory and safe), and a boy boat. Our captain has a solid experience of navigation in the waters of the China Sea and in particular Koh Samui and its surroundings. 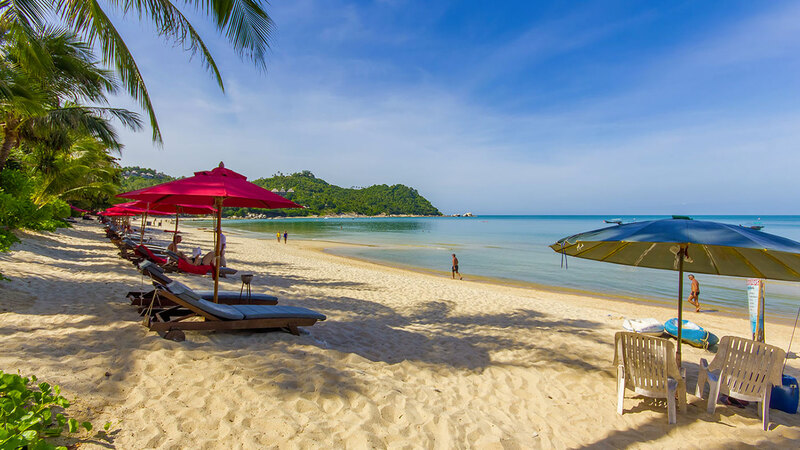 Hop aboard and head to the beautiful islands of Koh Samui, Koh Phangan, Koh Tan, Koh Matsum and the famous Angthong National Park. If you wish you can also "PRIVATIZE" the boat, and enjoy the « COLOR of the SEA » just for you. 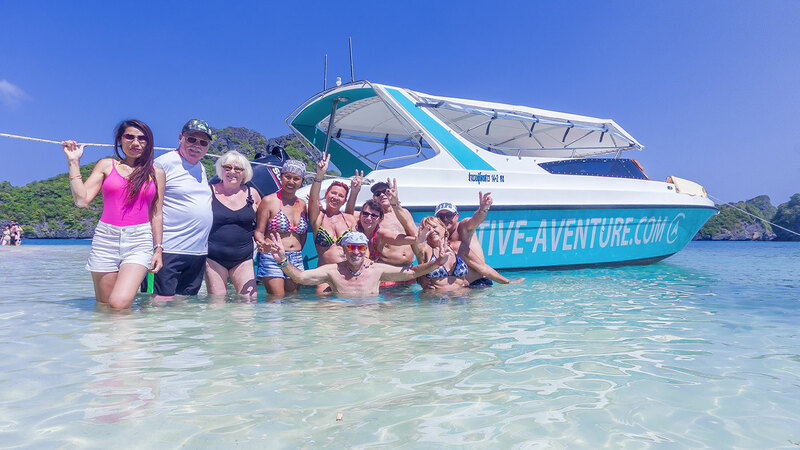 We currently have at our program 4 different excursions, with Angthong National Marine Park, Around Koh Phangan, Samui by boat and south islands, sunset in Samui. 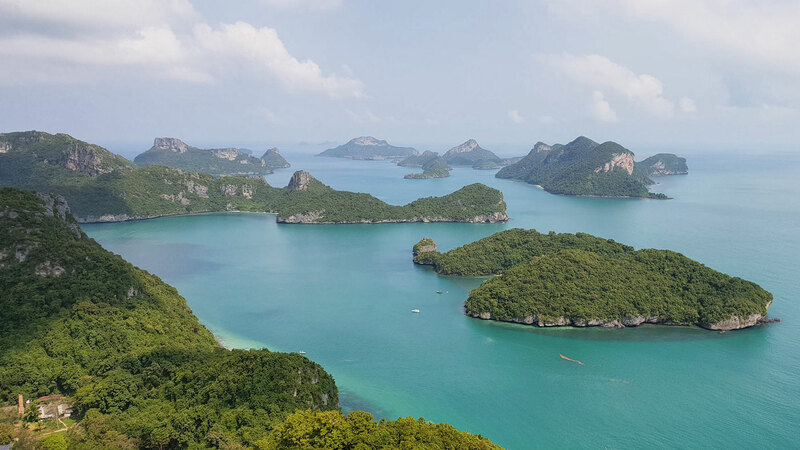 The Ang Thong National Park is made up of 42 islands and islets. The limestone monoliths form a group of islands shaped by time. They are green, beautiful and uninhabited, offering a panorama and a change of scenery. This is the must-see if you are in Koh Samui. 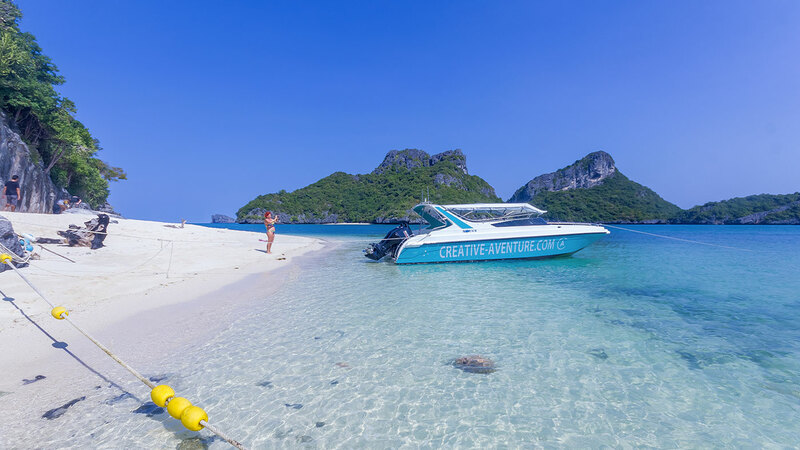 Our Speed boat will allow you to reach Ang Thong after about 1 hour of navigation. uncrowded and wild. Embark with us to discover them. During the "snorkeling" break, enjoy the discovery of the seabed and multi-colored fish. Enjoy the beach for a relaxing break. 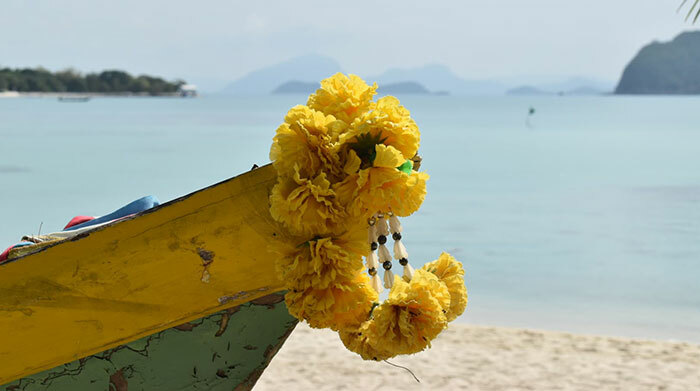 Set sail on the island of Koh Than and Koh Matsum, go around the island of Koh Samui by boat, this is what we propose. Discover the South Islands. Koh Tan is located south of Koh Samui. It is a small island with a lagoon, a mangrove and a coral reef. Far from the tumult, close to nature, this one will seduce you with its unique character. Koh Matsum and the 5 islands are also on the program. 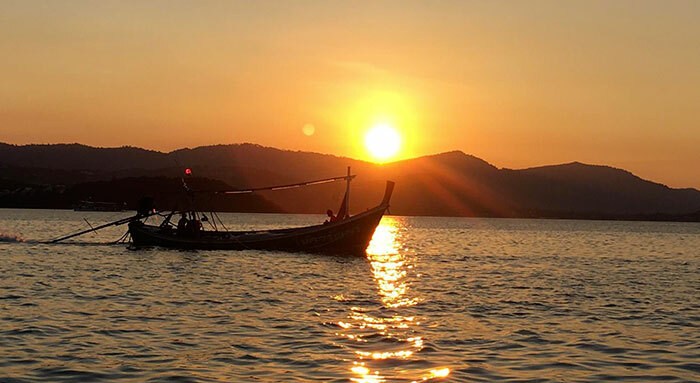 Take a boat trip to Choeng Mon, sail around the small islands of Koh Tao Pun and Koh Som and then watch the sunset aboard our magnificent Speed Boat with a glass of wine or champagne while admiring the last Glowing rays before they disappear behind the green hills of Maenan, Embark with us for magical moments.